Before you parry, pull on this plucky red knit beanie which sports Cuphead's smiling face. 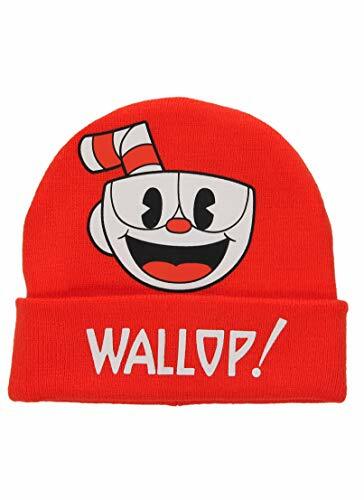 This high-quality acrylic knit beanie features a printed message on the fold-up brim so everyone will know you're ready to "Wallop!" 2018 StudioMDHR Entertainment Inc. All Rights Reserved. Cuphead and StudioMDHR are trademarks and/or registered trademarks of StudioMDHR Entertainment Inc. throughout the world.